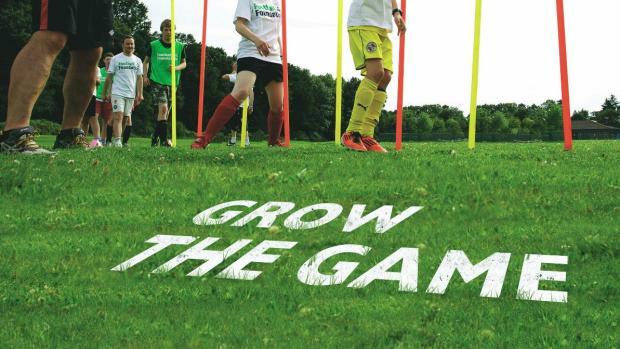 Chester FC Community Trust are celebrating after being awarded a £3,000 Grow the Game grant, something that has attracted praise from England Manager Gareth Southgate. The grant, which will provide a boost to grassroots football in Chester, has paved the way for Chester FC Community Trust to expand its girls’ football programme with the creation of two new development teams for Under 12s and Under 14s along with two new Level 1 and two new Level 2 coaches. England Men’s Senior Manager and Football Foundation Ambassador, Gareth Southgate, said: “I am so pleased that Chester FC Community Trust has secured this Grow the Game grant. The club has worked very hard with Cheshire FA and the Football Foundation to get more local people playing football so that they can enjoy the many physical and mental benefits that come with playing regular sport. Chester FC Community Trust will be supporting the Very Big Team Photo, a special event acknowledging the fantastic support of Blues fans. On Wednesday July 5th the annual team photo will be taken at the Lookers Vauxhall Stadium and the Club is inviting supporters of all ages to come along. Fans turning up on the day will have the chance to join in on the Very Big Team Photo which will involve one formal shot and one photo with members of the squad sat amongst the fans. There will also be the chance to meet the players, get autographs and photos, and chat about the season ahead. Chester FC Community Trust have teamed up with Streetwise Soccer to provide free football inflatables and activities, giving fans the chance to take on the first-team players and staff. The event will commence at 4pm with photos being taken from around 4.15pm and everyone is welcome. Blues fans are encouraged to dress in club colours and bring any flags or banners they wish for what should be a really enjoyable occasion. 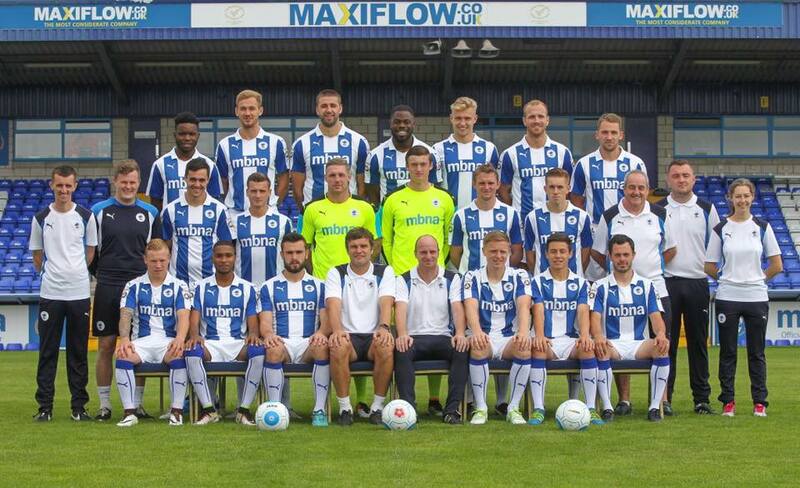 Chester FC CEO Mark Maguire said: “It’s a simple fact that this club wouldn’t exist without its fans, and so we thought that we should acknowledge that by including them in our annual team photo. “It’s about bringing fans, players and staff together as we build towards an exciting season ahead. Women’s Sport Week is a national awareness week to celebrate and showcase women’s sport at every level, from the grassroots to the elite, and highlight the incredible contribution that women make to sport. The overall aim is to get more women and girls physically active and playing sport and for everyone to enjoy, engage and experience sport. Running from 19-25 June, Women’s Sport Week 2017 is an opportunity for Chester FC Community Trust to reinforce its commitment to women’s sport and highlight some of the programmes we offer for women and girls. Competing in the Cheshire Women’s League, the Wolves have finished fourth and second in Division One over the past two seasons and are targeting promotion in 2017/18. The squad train twice a week and play matches on Sunday afternoons under manager Dean Vian. Prospective players interested in wearing the blue and white are encouraged to contact the management team for a trial via dean.vian@chesterfc.com. With the profile of the women’s game now bigger than ever, the support of Chester FC and principal partners MBNA continues to allow Chester FC Community Trust to focus on the development of the Wolves and women and girls football. Established in 2016 to provide increased opportunities for players leaving junior football, the Wolves Under 18s are preparing to enter the Cheshire Youth League for the 2017/18 season. Under the watch of head coach Ben Richards, the squad train twice a week and play fixtures on Sunday afternoons with the team acting as a vital bridge between the grassroots game and the first team. The team welcome new players of all abilities. If you would like more details email ben.richards@chesterfc.com or contact him on 07791 639512. Bridging the gap between the grassroots game and the FA’s Regional Talent Club programme, the Chester FC Girls APDC gives young talented female players the best coaching and environment to assist their personal development in football to help them reach their potential. Players continue to train and play for their community clubs and receive extra coaching on Thursday evenings as part of a programme which will challenge them technically, physically, psychologically and socially. The APDC includes regular development fixtures and operates four age groups. Players interested in joining the programme can request an assessment via community@chesterfc.com. SSE Wildcats Girls’ Football Clubs provide girls aged 5-11 with regular opportunities to play football and take part in organised sessions in a fun, engaging and safe environment. Chester FC Community Trust runs clubs on Saturdays and Tuesdays and the cost is £2 per session with no need to book in advance and no commitment required to attend every week. The clubs are ideal for girls new to the game and offers them the chance to learn new skills and make new friends. Parents interested in finding out more about SSE Wildcats can email community@chesterfc.com. Designed specifically for children aged 3-7, Mini Kickers allows girls to learn and develop their footballing skills in a safe, positive environment. Fun sessions help to develop fundamental movement skills, build confidence and provide opportunities to make new friends. Mini Kickers takes place at the Northgate Arena on Sunday mornings at 9am for reception age children and 10am for those in Year 1 & 2. To book places or find out more details email community@chesterfc.com. Rivalries were put to one side as Chester FC and Wrexham AFC helped mark the end of Dementia Awareness Week 2017. Cheshire West Alzheimer’s Society and Flintshire Alzheimer’s Society invited individuals and organisations from both sides of the England and Wales border to come together in support of the theme of Dementia Awareness Week 2017, which asked everyone to put aside their differences and unite against dementia to urgently find a cure, improve care and offer help and understanding. The event took place across the bridge over the River Dee between Farndon on the English side of the border and Holt on the Welsh side. 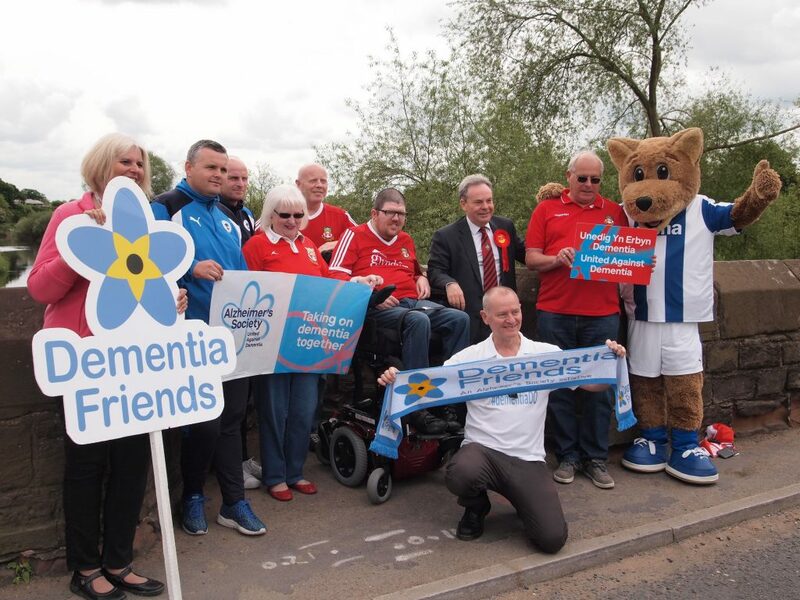 Manager Jon McCarthy, club mascot Lupus and Trust chief executive Jim Green represented the Blues alongside Wrexham supporters with Cheshire West and Chester Council, Flintshire Council, Age UK, Cheshire Police and North Wales Police among the other organisations who stood united with people who have been affected by dementia. There are over 850,000 people with dementia and one in three people will develop dementia at some point in their lifetime. Awareness and understanding remains low and many families are facing it alone, but together we can take action. Dementia Awareness Week 2017 was a huge success with thousands of events taking place across England, Wales and Northern Ireland, many of which saw people raising and donating money to fight the condition, campaigning for change and becoming Dementia Friends.